They say you can't be in two places at once. As a general rule I suppose that's true, but last night, thanks to United Airlines customer service, I was in hotels in Spokane, Denver, and Washington D.C., all at the same time. I felt like some kind of super spy, and if the FBI was trying to figure out where I was, they were S.O.L. although in the end I did try and make it easier for them by sleeping in a hotel about a half block from their head office. 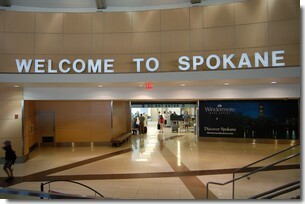 Yesterday we were supposed to fly from Spokane to Denver, and then Denver to Washington, D.C. Unfortunately our flight from Spokane was delayed almost two hours, meaning that we were going to miss our connection to D.C. Now surprisingly enough, despite the amount of flying that I've done, I've never missed a connection before. My bags have missed a connection. I've missed the first leg of a flight by sleeping in. I've even been bumped off the second leg of my flight before (three times for the same flight once), but this was new territory for me as I'd never had to be re-routed before. So how did United handle it? Well to start off, not that well. Spokane isn't exactly a major airport for United (or anybody else really), so while we could all see on the board that our flight was delayed, there was nobody around to help us figure out what was going on. When staff finally did show up at the gate, they had to deal with an incoming flight from San Francisco, so all of us slightly worried type folks were told that we had to wait until after the other plane was re-loaded before they could help us. This didn't exactly fill me with confidence, so while I was waiting for the other flight to clear, I tried calling United's customer service line. This did nothing to raise my spirits as the only thing the phone agent could tell me was that there wasn't another flight to Washington that night. When I asked what my other options were for getting to the destination that I'd paid for (although in all fairness, I didn't pay that much) all I got was "Ummmm...there's not another flight tonight". It was kind of like dealing with a new form of artificial intelligence, only minus the whole intelligence part. Feeling concerned, I called the hotel we had stayed at the night before in Spokane and asked them to hold on to a room for us. Once the San Francisco flight was out of the way, the airport agents got to work trying to resolve everybody's connection issues. As it was so eloquently pointed out by United's customer service line, there wasn't another flight to D.C. that night, so the agent re-booked our family onto the next days 8am flight. Without having to ask, we were offered $100 in food vouchers and a hotel room in Denver for the night. To be honest, this sounded like a better idea than our original plan which had us arriving in to D.C. at 1:30 in the morning. 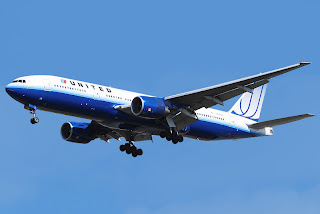 Once they finally got going on things, I was very happy with all that United did for us. At least I was until we got to Denver. In Denver we were the very last people to get off the plane, figuring that we had plenty of time. As we came off the plane however, we were greeted by a United agent informing us that they were holding the plane to Washington for us at a gate across the airport. Cue the mad dash music as we got to run through Denver airport at top speed. By the way...Don't ever run through Denver airport at top speed. Especially with lots of carry-ons. We made it to the gate, but I was feeling incredibly light-headed by the time we got to the gate. I blame it on the thin air, but my son blames it on me eating everything in sight. Damn they're cocky when there's still a half month to allowance day. Although it was nice to make our connection, I felt pretty bad for all the people who had to wait an hour while we made our way from Spokane. I felt especially bad for the poor guy who had to share a row with Talon and I, as right up until the last moment he must have thought that he'd scored and empty row to himself. What I felt good about though, was the way that United handled the situation. 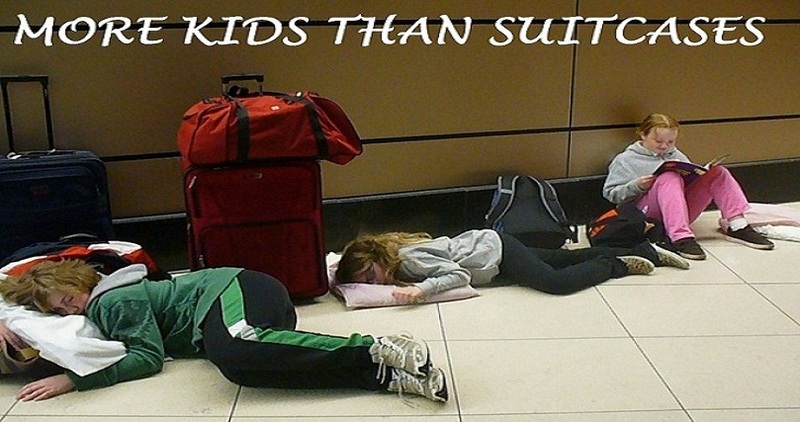 While it was a little chaotic, I never worried too much that we'd be sleeping on a airport floor or anything like that. It would have been nice to get a little earlier communication, and being told to wait while they handled a different flight was a little bit annoying, but once United got around to taking care of us, I felt like I was in good hands. They got us to D.C., and they made sure that we gave the FBI the slip. What more can I ask for than that?